The VOD (video-on-demand) industry in Southeast Asia, especially Malaysia, is currently experiencing increased growth and demand. With over 40 million mobile subscriptions in Malaysia, streaming video content has become more accessible than ever. Taking note of the scene’s rapid growth, media company Viu aims to build upon the momentum by utilising various strategies that have seen them become successful in 15 markets worldwide. 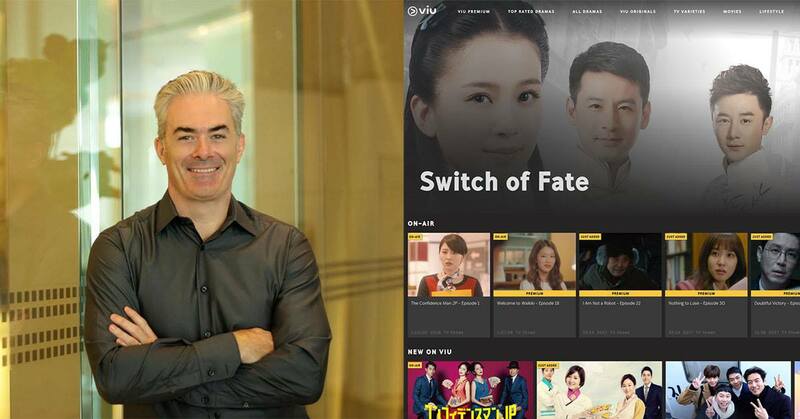 We spoke to Kingsley Warner, General Manager of Viu Malaysia, about the Malaysian OTT and VOD content industry and what it will take to succeed in such a fast-moving industry. As a nation with over 40 million mobile phone subscriptions, appetites for Video-On-Demand and OTT (over-the-top) content are being catered to by players both local (iflix, Tonton, DimSum) and international (Netflix). Planning to leverage on the huge boom within Malaysia’s VOD content market (revenue for the VOD market in Malaysia for 2018 stands at approximately RM135 million) is service provider Viu, a media tech company and provider of VOD content with a presence in over 15 markets worldwide, and who recently celebrated their second of year of operations here. On their platform, Viu offers an array of popular Asian series and movies that include K-dramas, Bollywood movies, and Chinese soap operas, which are a mixed bag of both licensed properties as well as original content. In April last year, Viu recorded an approximated six million monthly active users across all of its markets, a 50% growth from 4 million in November 2016. Right now, that number has reached 16 million, with about 1.8 billion total video views recorded on its platform. Aiming to get some insights regarding the growth of the OTT market in Malaysia, we spoke with Kingsley Warner, General Manager of Viu Malaysia for some of his thoughts on the scene and what makes for a winning growth strategy within the space. “I think it’s become very clear to everyone that Malaysians really love good Asian shows,” Kingsley said when speaking on Viu’s content offerings. Focusing on that sentiment, Kingsley proceeded to the importance of high-quality, original, localised content. In the west, content providers such as Netflix and Hulu have enjoyed continued success from the creation of original series such as the critically acclaimed Black Mirror. Kingsley thinks that Malaysia’s industry can also stand to benefit from the same approach. “First of all, we need to learn from outside Malaysia. We can’t stick to the same formulas that have done well here anymore,” he explained. Citing a successful case study from Indonesia in which his company produced a show with the same quality of a K-drama, Kingsley said that Malaysians can and should expect to see the same level of quality appear locally. But what’s the point of high-quality original content without a good way to sell it? In Kingsley’s opinion, merely having high-quality shows isn’t nearly enough to keep a service competitive, and attributes Viu’s high consumption rate to its freemium business model. This provides an amount of free content sufficient to draw casual viewers to the platform while also offering more premium and current content at RM10 per month. Viu’s freemium model lets their audience access early episodes of premium content for free, while the remaining episodes are kept behind an affordable pay wall. Looking at the model as a whole, it’s obvious that the main goal of it all is to create a way for consumers to easily watch their favourite shows—especially for content from less prominent markets. “While it’s true that Korean content leads, what we’d like to do is to bring great entertainment from places like Thailand, Indonesia, Japan, India and more to Malaysians and make it easily accessible,” Kingsley said. Seamless onboarding and easy access for consumers. A compelling content strategy that focuses on local content and aims to drive long-term viewership. A long term investment plan for content, technology, and marketing that is based on consumer insights. A focus on providing superior consumer experience. An entrepreneurial culture that emphasises consumer entertainment before company valuations. All these, he said, would also factor into the future plans that Viu has to continue its growth after two years in Malaysia. To know more about Viu and their content offerings, check out their website.